Written by Customer.io on February 13, 2018 . If you don’t have a Lob account, start by creating one over at Lob.com. 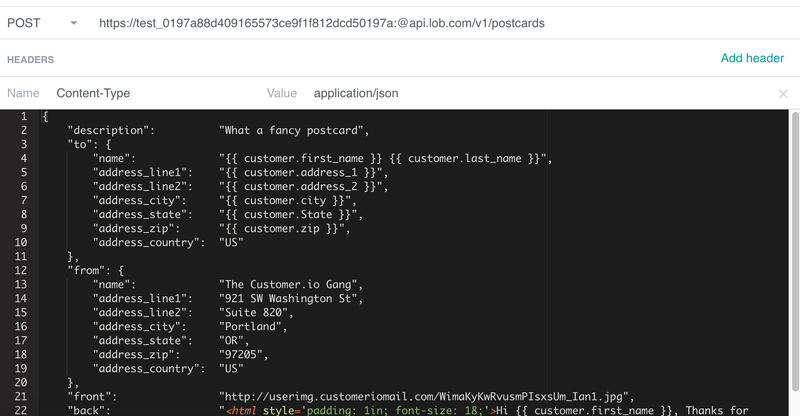 In your Lob account, you’ll want the API Key from your account. We recommend starting with your “Test API Key” from your settings. 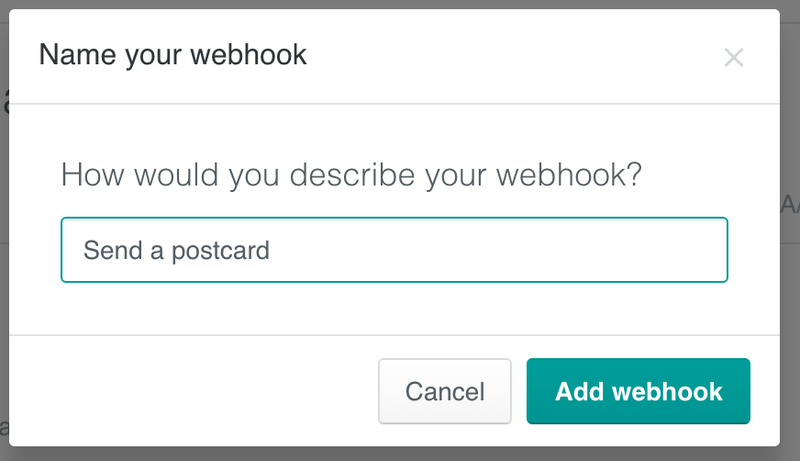 Create a campaign in Customer.io where you want to add the webhook action. 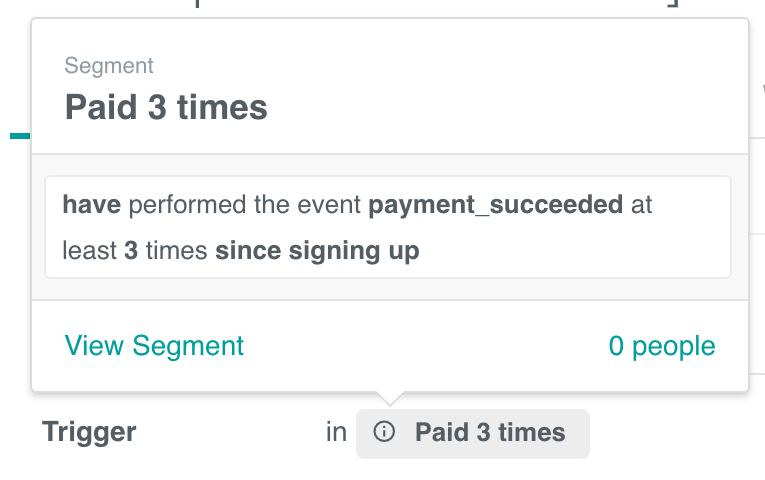 For our example, we’re using a segment triggered campaign with the segment “Paid 3 times” as our trigger. Add a new webhook action in the campaign’s workflow, and give it a name. Then click Add Request. You’ll then be brought to the Webhook composer. When you’re ready to test, you can click Send Request. 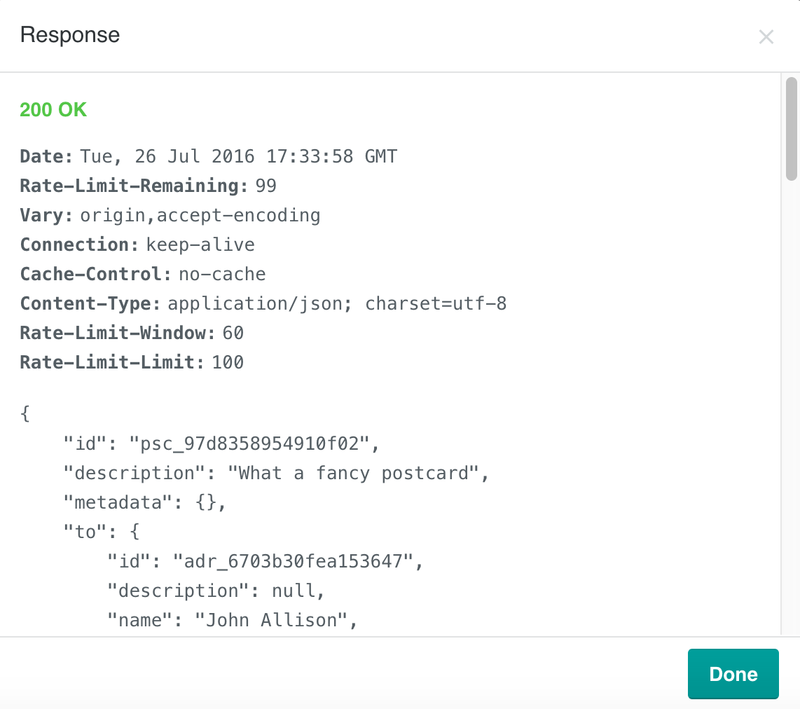 Customer.io will show you the response from the Lob API. If you’re successful, you’ll see a 200 OK. 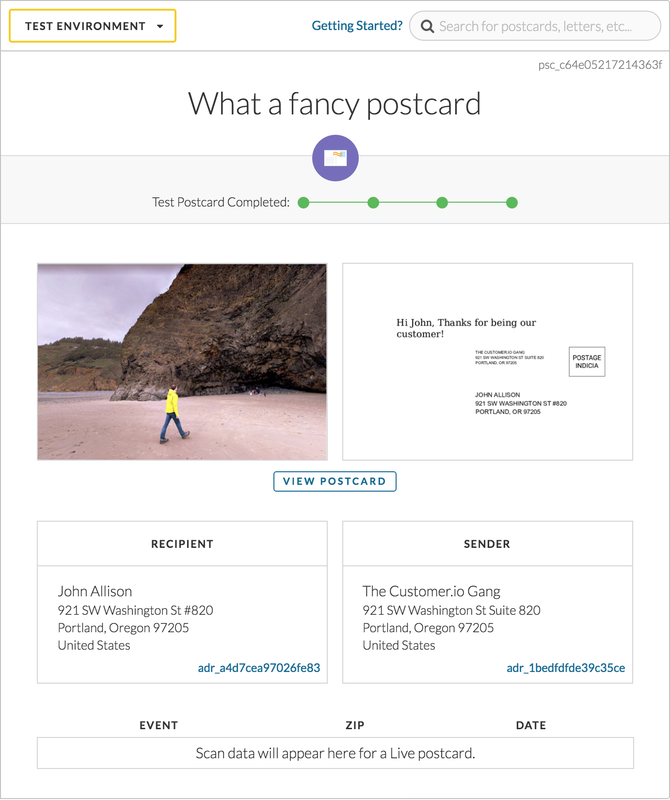 In Lob, you should now see your postcard successfully created. We’re excited to hear how you end up using Lob with Customer.io’s Webhook Action. If you have any trouble, let us know! We’re happy to help.